If you are looking for a premium quality SUV, then the BMW X3 at Budds’ BMW Hamilton is for you! Come into our dealership at Budds’ BMW Hamilton and take this exhilarating driving machine for a test drive! the BMW X3 was once the founder of its vehicle class. And the current generation of the all-rounder remains faithful to its tradition: exceptionally comfortable and extremely flexible, the BMW X3 is ideally suited to everyday challenges and equally so to lengthy journeys. If you are interested in purchasing a BMW X3 at Budds’ BMW Hamilton, then you should continue reading this page to find out more about it! 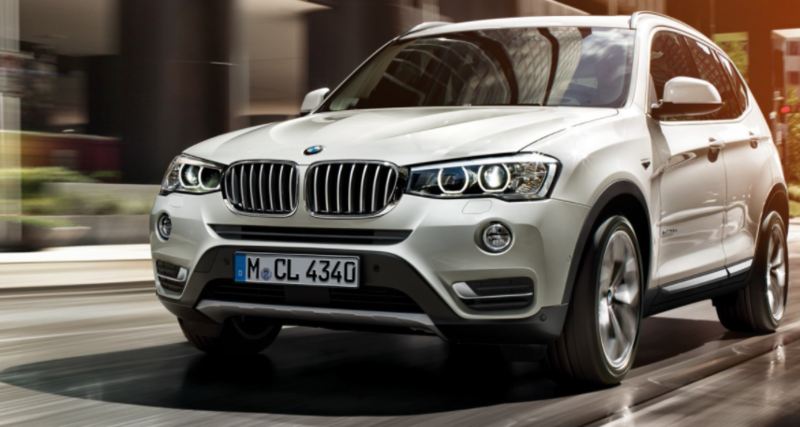 The exterior of the BMW X3 comes with sportiness as standard. Thanks to the wide bumper with powerful air inlets, the front develops a commanding presence. The large double kidney grille makes a clear statement with its prominent central position and is brimming with self-confidence. Distinctive headlights extending from both sides to the kidney grille add the finishing touch to the front and are available in standard xenon or optional full LED technology. Integrated inside them – and in the exterior mirror housings as well – are the indicator lamps. From the side, the BMW X3 exudes aerodynamics with its trademark wedge shape. The rear of the vehicle includes a dominant looking bumper and really rounds out the overall sportiness and and aggressiveness of the vehicle. A wide range of high-tech materials are used in the construction of the BMW X3: lightweight aluminum, high-strength steel, state-of-the-art plastics and magnesium. 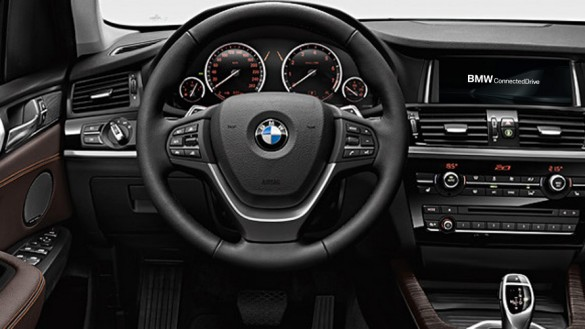 The interior of the BMW X3 combines a high-quality atmosphere with ingenious functionality. Exciting lines divide the instrument panel and the inside of the doors. Together with the vertical curve in the centre console, they emphasize the modern look while retaining BMW typical driver orientation. And thanks to the elevated seating position, all passengers enjoy an outstanding view. In addition, the BMW X3 impresses with equipment options of a quality that you can see and feel immediately. The BMW X3 includes the innovative Comfort Access system, which in conjunction with the automatic trunk operation, enables hands-free trunk opening. A quick, directed wave of the foot under the rear bumper allows the trunk to be opened via sensor. It then unlocks and swings open on its own. Sensors installed at different heights in the rear bumper detect the wave of the foot and open the trunk. This innovative feature from BMW ConnectedDrive makes opening and closing the trunk more convenient. For more information about the BMW X3 at Budds’ BMW Hamilton, please feel free to continue browsing through our website. Also, for other interesting content, feel free to visit our blog page. We can be reached at (905)387-7507 or by filling out our contact form.